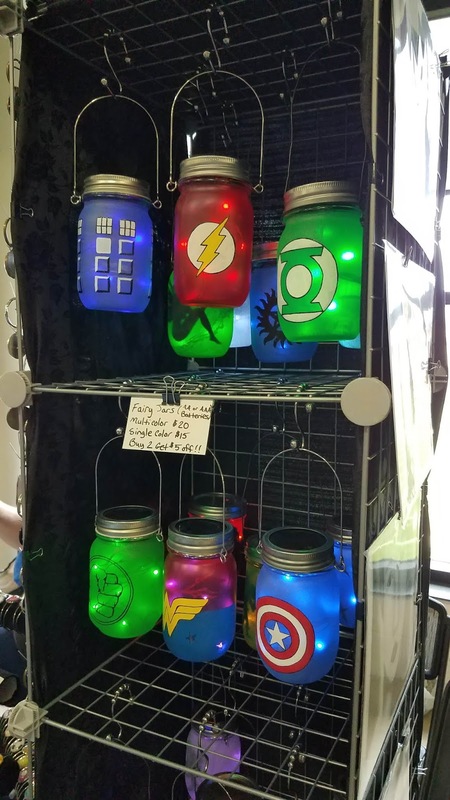 The guests at this year's show featured Deadpool co-creator Fabian Nicieza, Blue Power Ranger David Yost, actor/Comedian John Anderson, voice actor Stephen Russell, and G.I. Joe comic writer/artist Larry Hama. 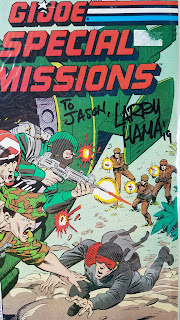 For several years I have been wanting to meet Hama and just offer him a "thank you" for his work on G.I. Joe: A Real American Hero. He came up with each characters' back story and the file card description that was added to each action figure card back. He's also been the long-time G.I. Joe comic book writer from its beginning with Marvel in 1982 to its current run with IDW. Hama ran into some airplane trouble which caused him to miss Saturday so I was very grateful he still made it the show on Sunday. He was penciling some commissions when I approached him and offered my thanks for his part in bringing joy to my childhood years through even today. I brought two comics for him to sign, both from the Marvel era of G.I. Joe. 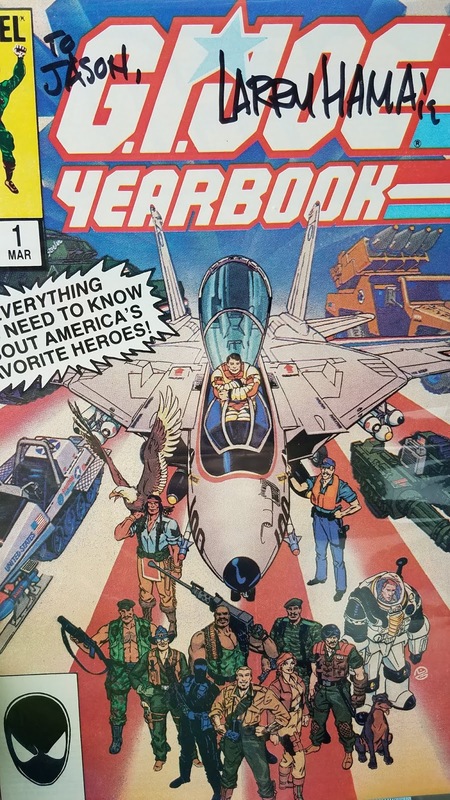 One was the first annual "yearbook" from 1985, which contains the initial story from the first issue and individual profiles of all the characters to that point. Plus, it has a great cover with my favorite toy front and center, the Skystriker jet. The other issue I had him sign was G.I. Joe: Special Missions #8 which is one of just a few to feature my favorite character Low Light on the cover. 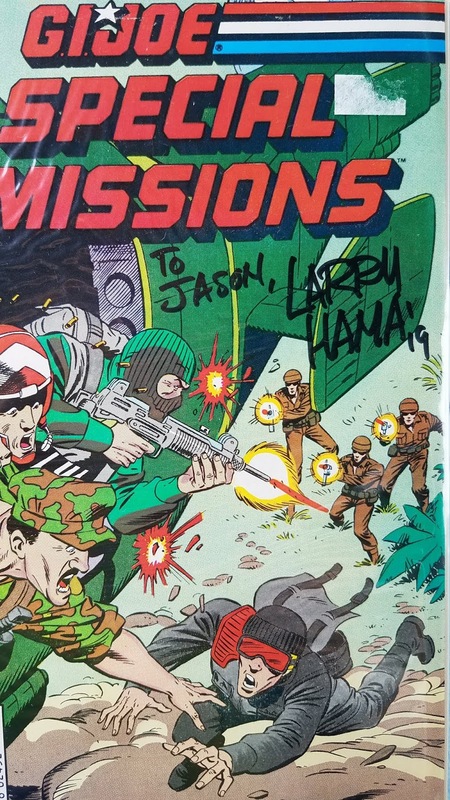 I'm usually not one to act like a "fan boy" but just talking with Larry Hama gave me that feeling I had as a kid, playing in the woods and pretending to be a real G.I. Joe hero. 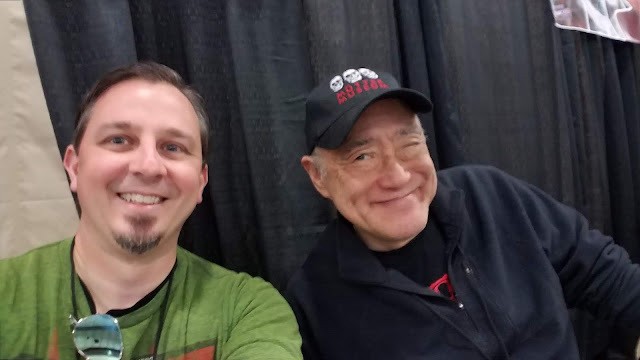 If you are a fan, make it a point to find an upcoming comic con with Hama. He'll write personalized autographs on his comics and take pictures for free which not many comic con guests are willing to do. There were also cosplayers at the show including headliners Kanina and G.I. Joe Southern Command, but apparently they (as well as cosplaying attendees) were more prevalent on Saturday as I didn't get very many pics. I did get to chat with the cosplay contest winner which was a T-1 Ground Assault Vehicle from Terminator Salvation, complete with rotating miniguns. The base of the impressive costume was actually an electric wheelchair. 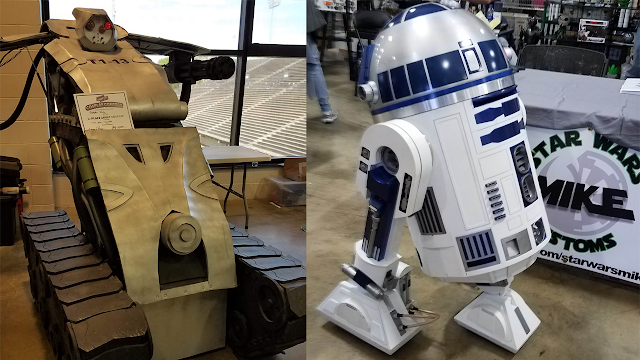 Another robot following me around "too," was a life-sized and fully functional R2-D2. Some of the other sites at the show included a mini arcade thanks to Rocket City Arcade in Huntsville, AL. 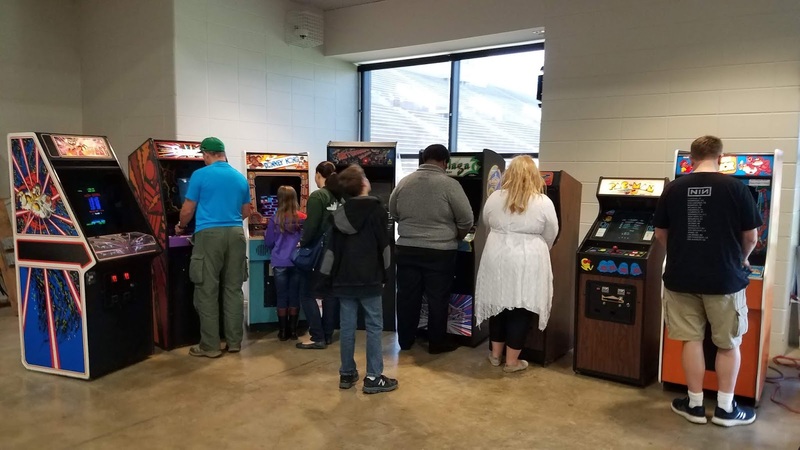 Pac-man, Donkey Kong, Galaga, and Tempest were among the classic cabinets on hand. Upstairs was an impressive display of Lego blocks put on by Magic City Lego. 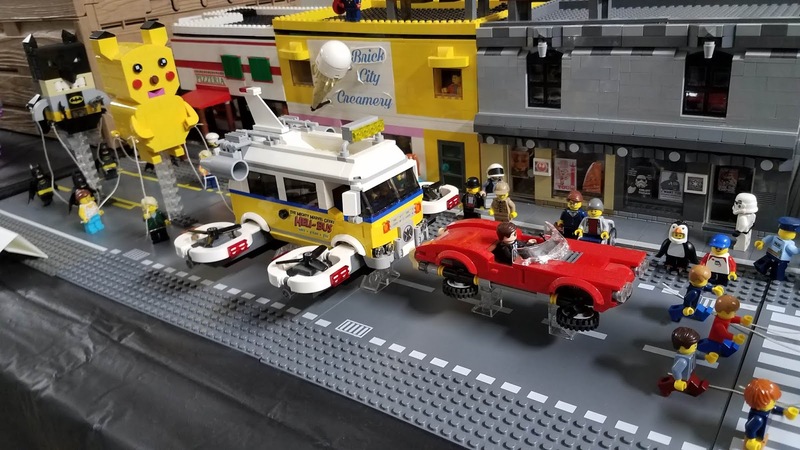 Among the several displays on hand, you could witness a Star Wars scene and a parade of pop culture characters down main street. Now to the vendors! 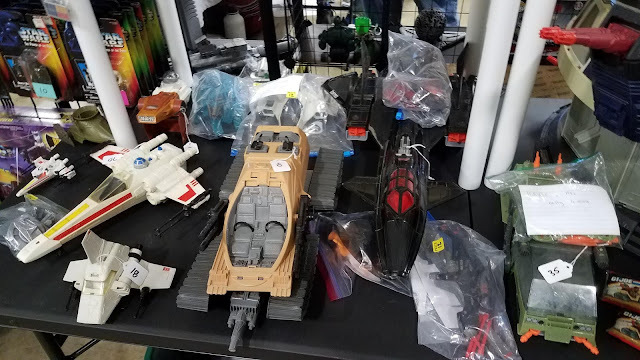 Some great merchandise on hand from vintage to new to custom. There were several comic book vendors on hand with books starting at 50 cents. 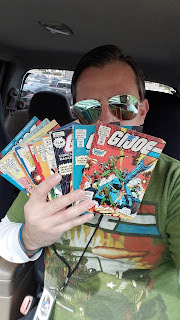 While I didn't dig through many long boxes, I did get my hands on 12 vintage G.I. Joe mini magazines which were the first I've had the opportunity to collect. After spending most of my budget on those, I mainly window shopped for the rest of the day even though I was tempted to add a G.I. Joe HAVOC back into my collection (another childhood favorite) and a Low Light graded on card. 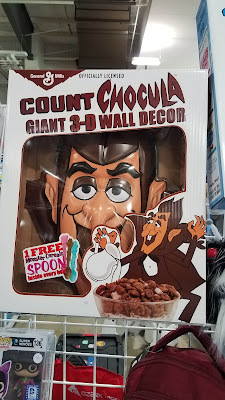 I also found fantastic wall art masks that I had not seen before. 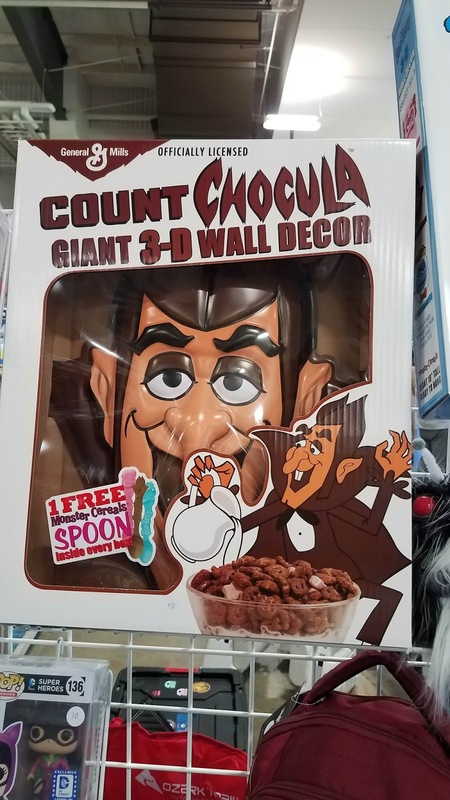 My favorites were based on the monster cereal mascots with boxes that actually looked like their cereal boxes. 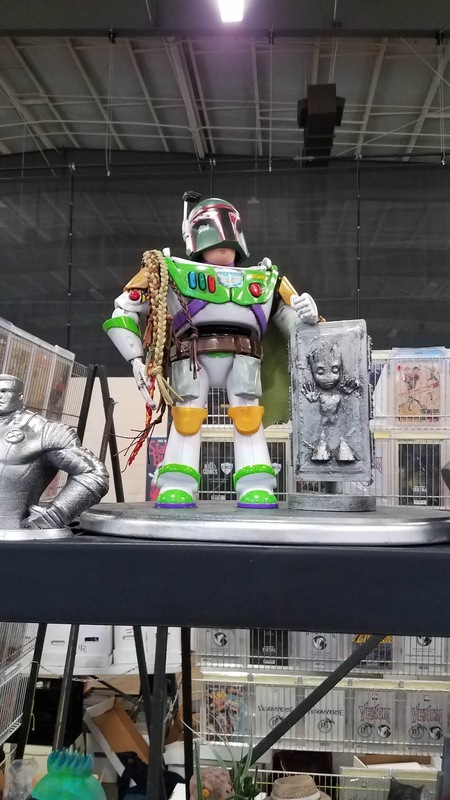 There were several vendors offering custom pieces like a Buzz Lightyear dressed as Boba Fett with a baby Groot in carbonite (your guess is as good as mine on how all that fits together.) Another vendor had rad mason jar lanterns featuring mainly superhero logos. Local art, movie poster prints, and a library of manga books were also on hand. 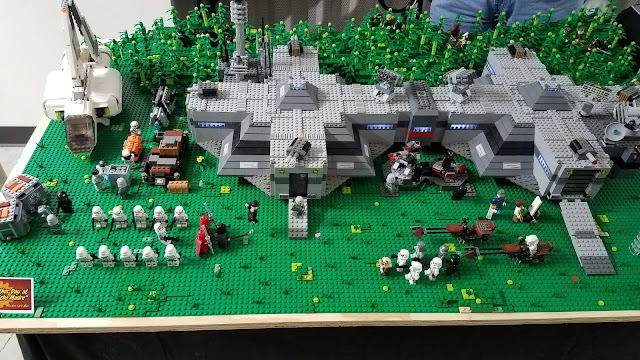 For the size of the con, there was alot of fun, quality merchandise for sale. 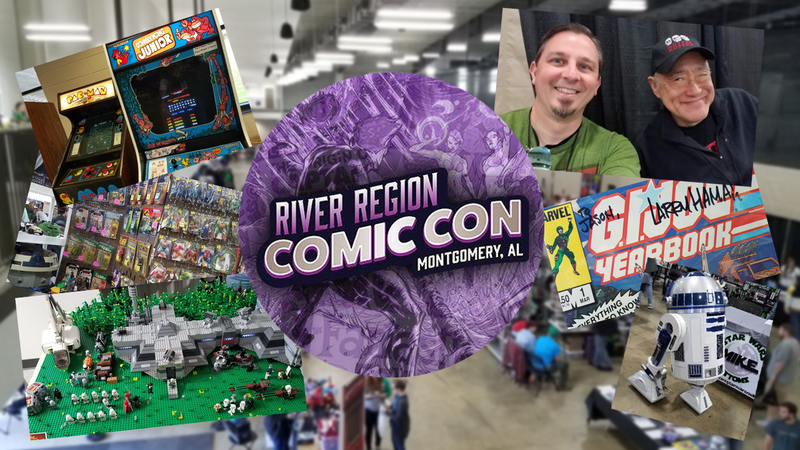 As I mentioned before, River Region Comic Con has alot of room for growth but the show is definitely worth attending and I'm glad to support the event as a Montgomery resident. I'm also very grateful to Chris and the other staff for allowing me to cover the event for Rediscover the '80s. I'm very much looking forward to what the 2020 show has to offer! For more info, visit RiverRegionComicCon.com and connect with the show on Facebook and Twitter.